The Belkin Universal Cable is an all-in-one cable solution designed to meet all your charging needs. 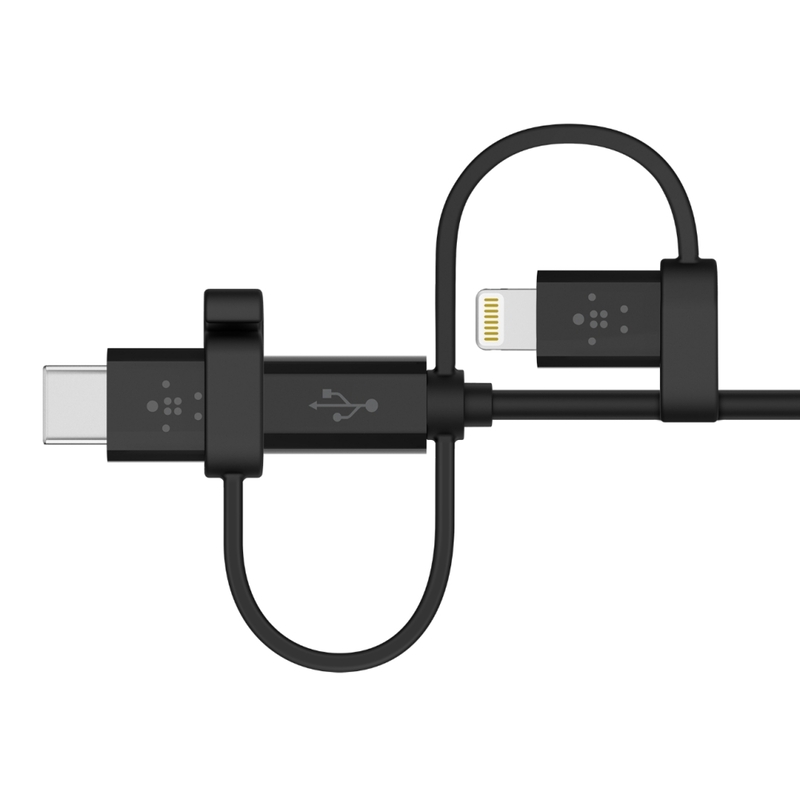 Compatible with many of your most-used devices like smartphones, tablets, power banks, it’s great for home or travel. Simply choose your connector and plug in. Works with: devices with Micro-USB, USB-C and Lightning ports. Simplify with a single sturdy cable. 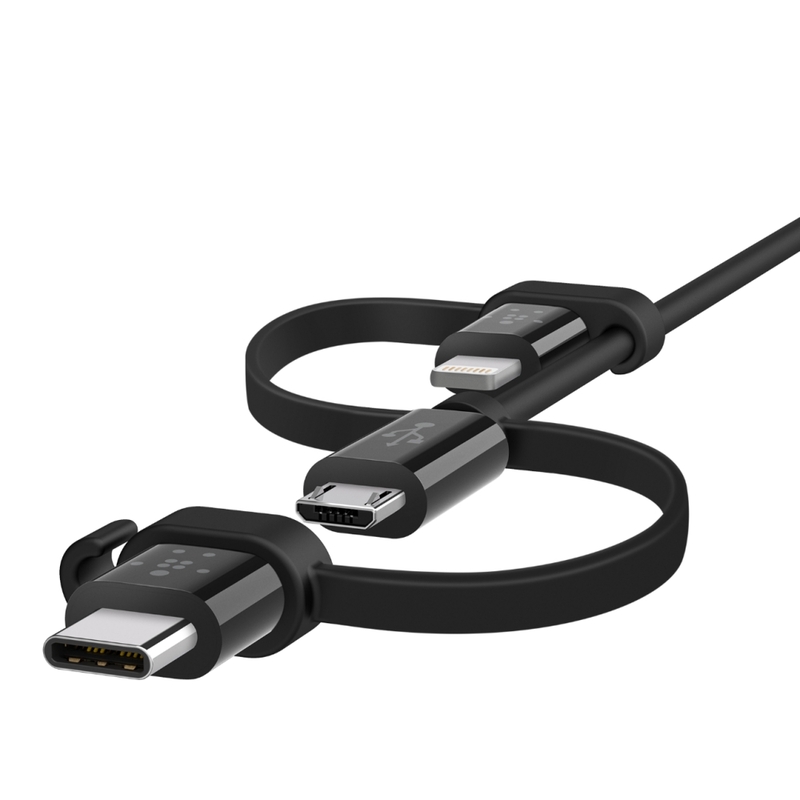 USB-C, Lightning and Micro-USB connectors are interchangeable, allowing you to use a single cable to power and sync almost any device. 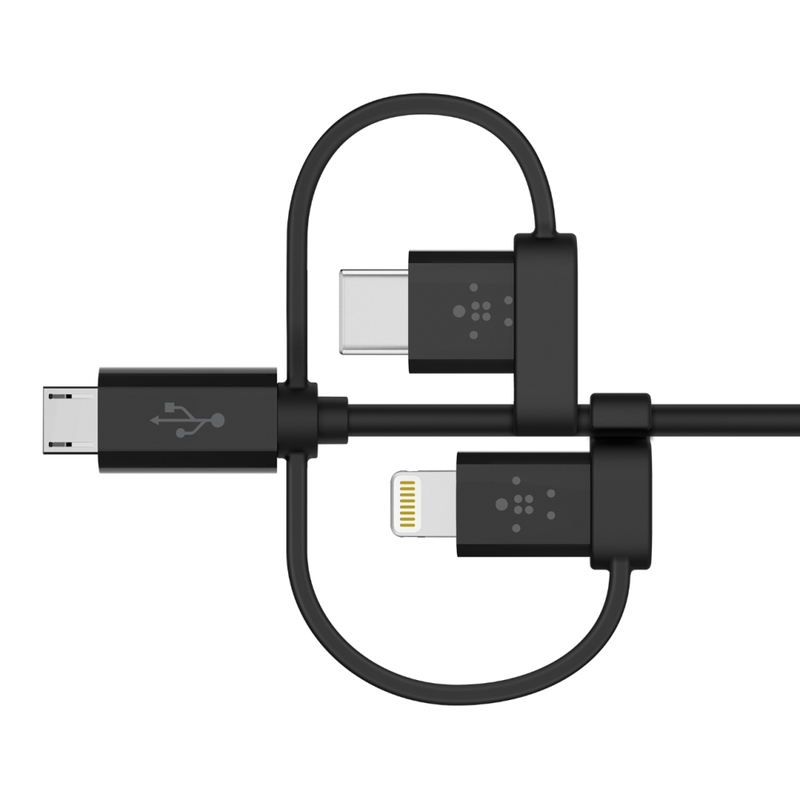 Perfect for travel, throw this single Universal Cable in your bag and you’re covered. 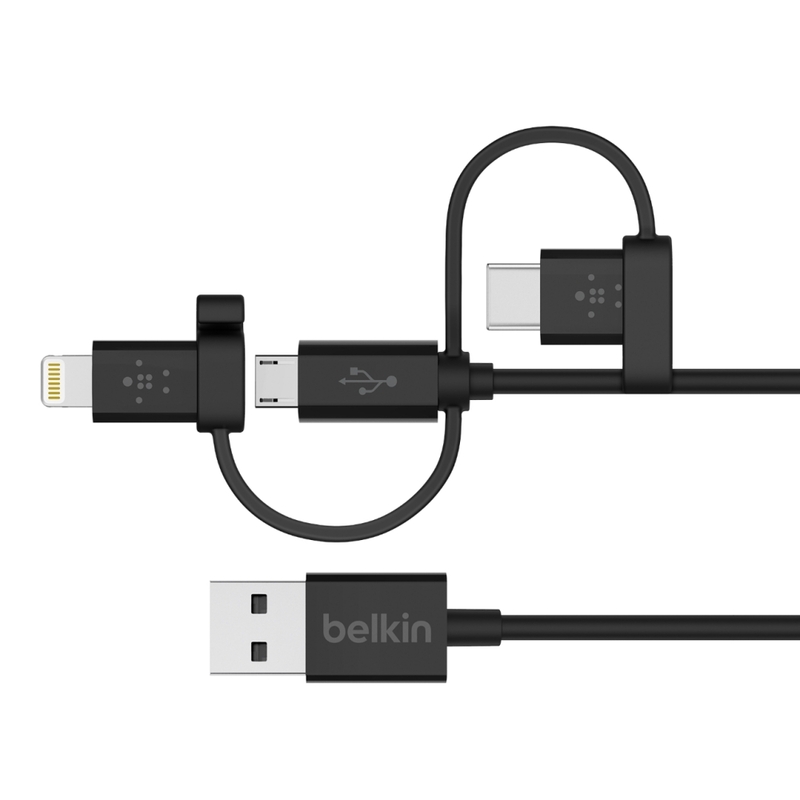 Three connectors allow you to charge and sync your favorite devices. Thoughtful design allows you to keep your space tidy. 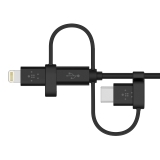 Each adaptor features a small hook that connects to the cable, so it’s easy to stay organized. Easily reaching from outlet to your nightstand or from your car’s charger to the back seat, this 4-foot cable is handy at home and beyond. Each connector has been thoroughly tested. Made for iPhone and Made for iPad mean that this Lightning connector has been specifically designed to provide safe, optimal charging.